Tabernacle is committed to total family discipling and we covenant with parents to be partners with them in growing and nurturing their children from birth to adulthood. Our goal is to grow strong healthy children who know and love the Lord and desire to serve Him. To that end, we designed our weekly programming to fit busy family schedules and provide parents with tools they can use at home to reinforce values learned at church. Sunday School- Children meet on Sunday morning during the Sunday School hour (9:20-10:15 am) in room 201 for grades K-5. It's exciting, interactive and motivating. It starts out with a large group time and then the children disseminate into small groups in classrooms. A special children's bulletin and writing instruments is provided for the worship service. Pick up items at the piano side Sanctuary entrance. KidsJAM meets on Wednesday night in room 205 at 6:15! Children K through grade 5 are welcome to attend! Tabernacle takes the safety and security of our children very seriously. We work to provide a safe environment in a secure facility for both our preschoolers and older children. Preschoolers require a parent check-in and check-out and a security tag. 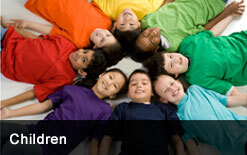 Individuals who work with our children must have successfully completed a training class and a background check. Sunday morning: Students meet for Sunday School at 9:20 am in the Youth Room (214). Wednesday night: A great time of Bible study, laughter and discussion that students won't want to miss starts at 6:15 pm and happens every week. Be here! And bring a friend! Youth activities end at 7:45 pm. God has equipped each of us with gifts unique to us for use in His Kingdom’s work. You will be encouraged in the Starting Point membership class to actively discover your gifts and the place God has for you at Tabernacle to put them to use. 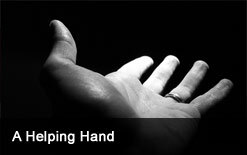 As you acclimate to our structure, you will find yourself led to a particular ministry that needs you. Don’t hesitate to get involved! Did you miss the latest sermon? Listen to each week's sermon right from the website, download them for later, or subscribe to our iTunes podcast to have them automatically on your MP3 player. It's time for YOU to connect to Sunday School! Classes for children and youth and adults of all ages are ongoing. It's the perfect time to make a fresh start. Get Connected to Sunday School and worship! Find a class for Bible study at 9:20 am and stay for worship. The best source of all of our current news events is in our weekly newsletter! Click the Newsletter link, or read using Scribd on your device.